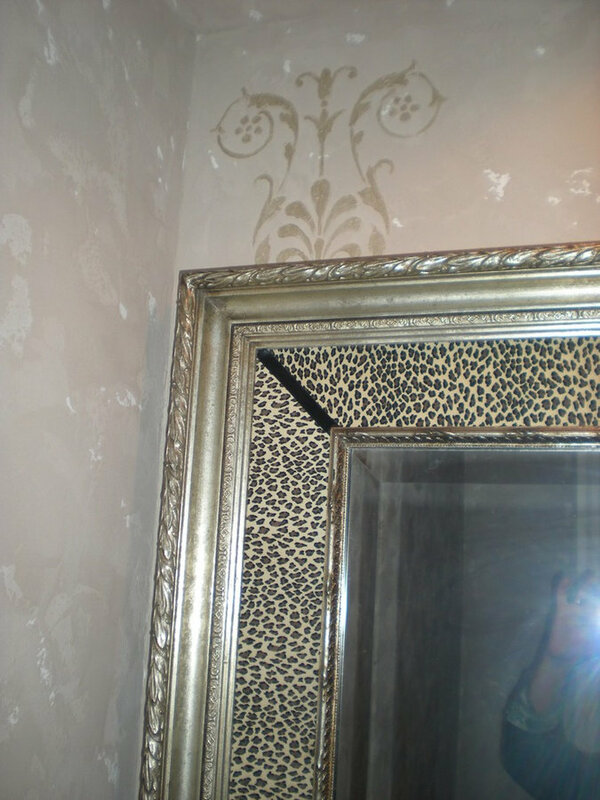 This glazed plaster is needed to soften the hardlines. 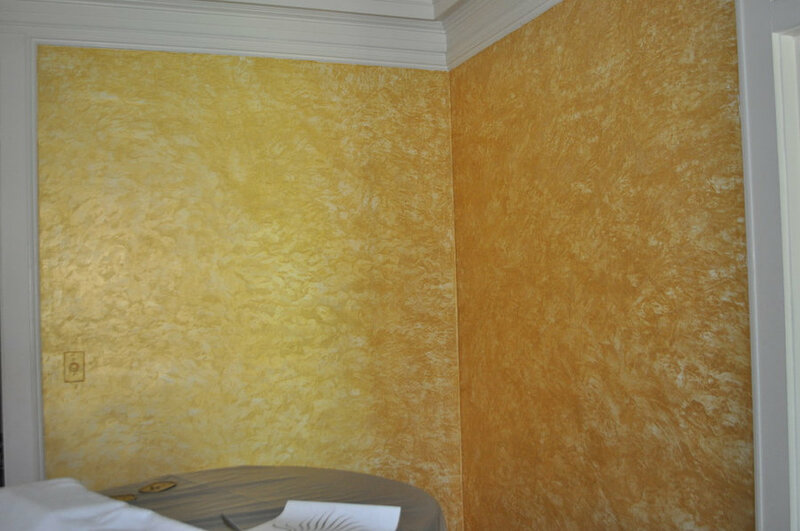 This ceiling bold yet not overpowering in this space. 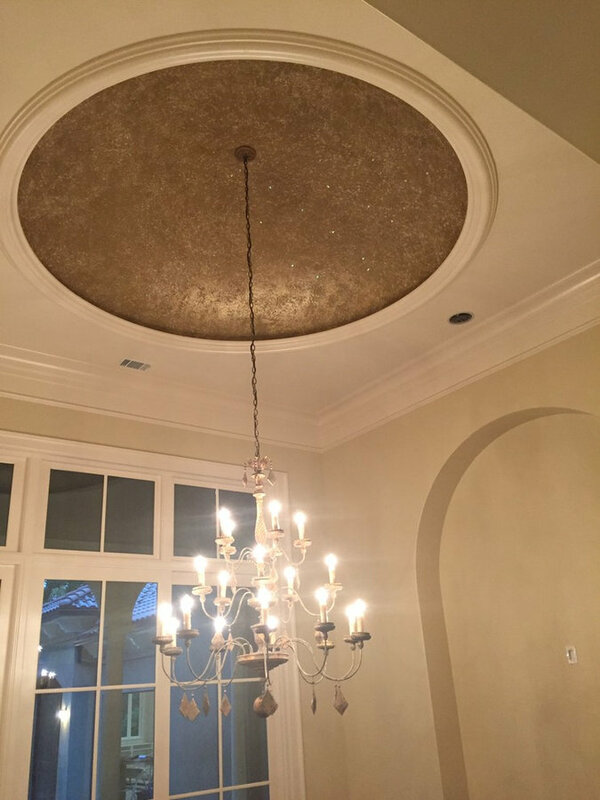 The light dances around the metallic finish in the dome. 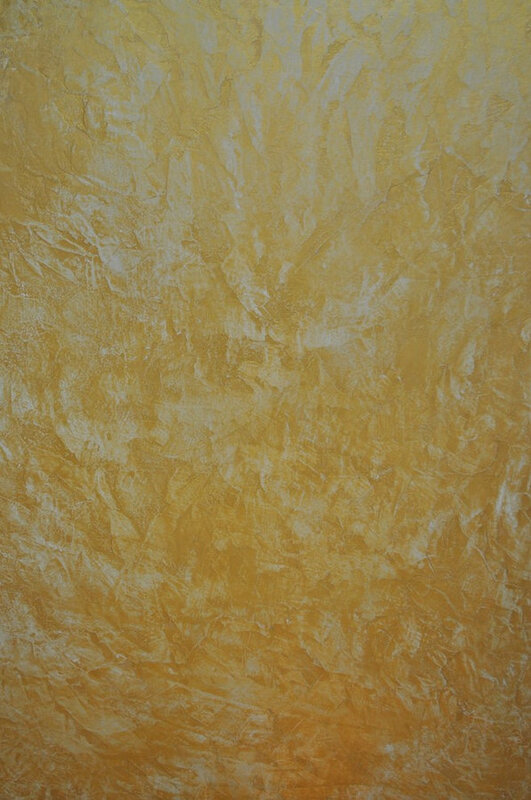 The plaster in this pool bath was a 5 coat process then finished with a metallic gold wax. 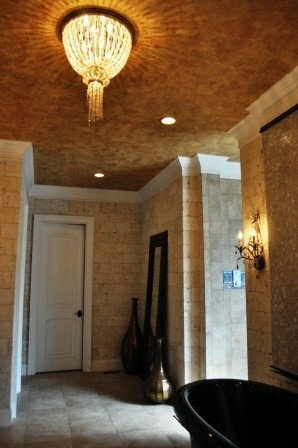 The ceiling was plastered to resemble gold leaf. 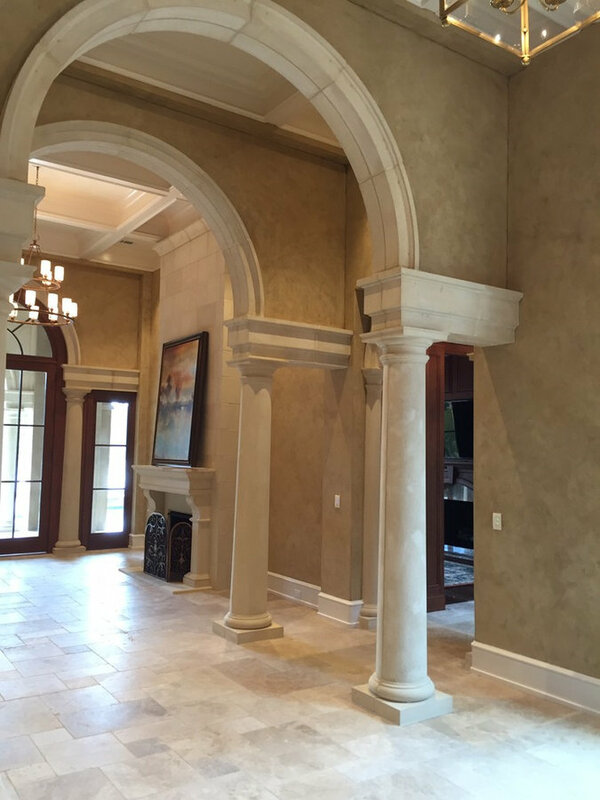 Plaster finish and waxing completed by Charlie Stevens. 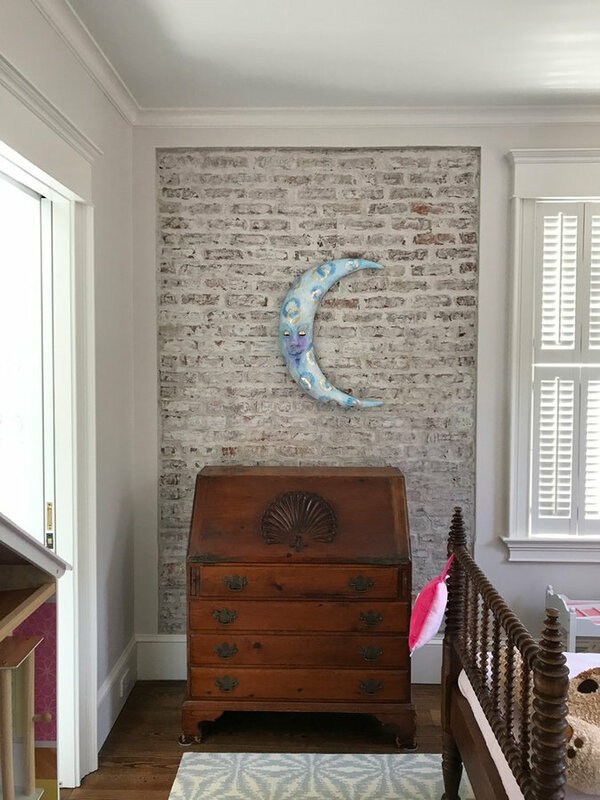 We created a faux concrete tile using plasters and stencils. 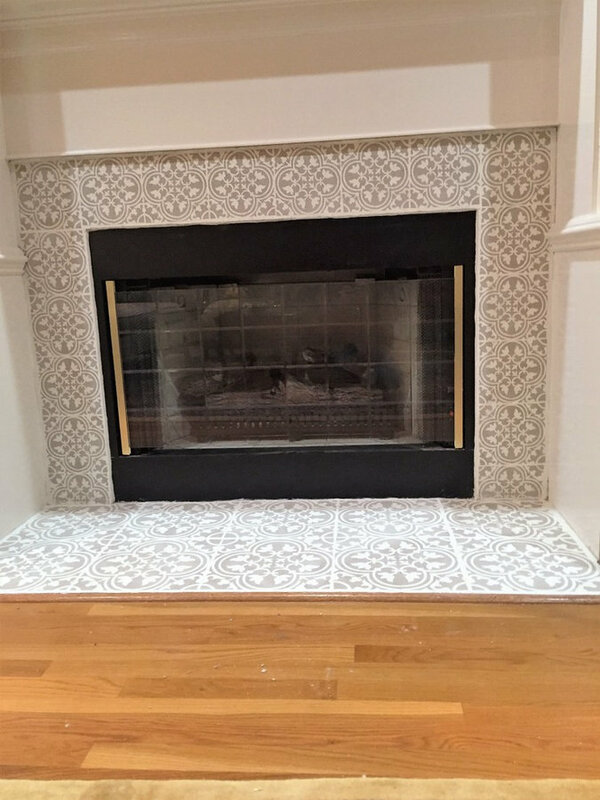 This changed an ordinary fireplace surround and hearth into an interesting work of art. 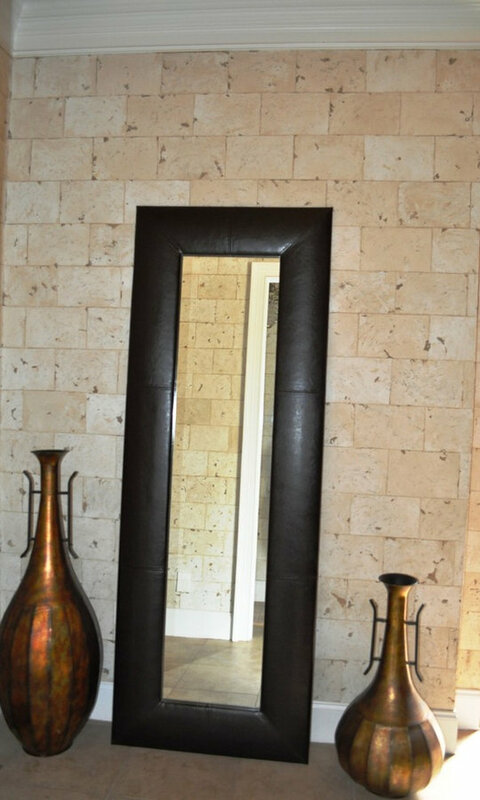 Hand blocked stone in this Masterbath is special. 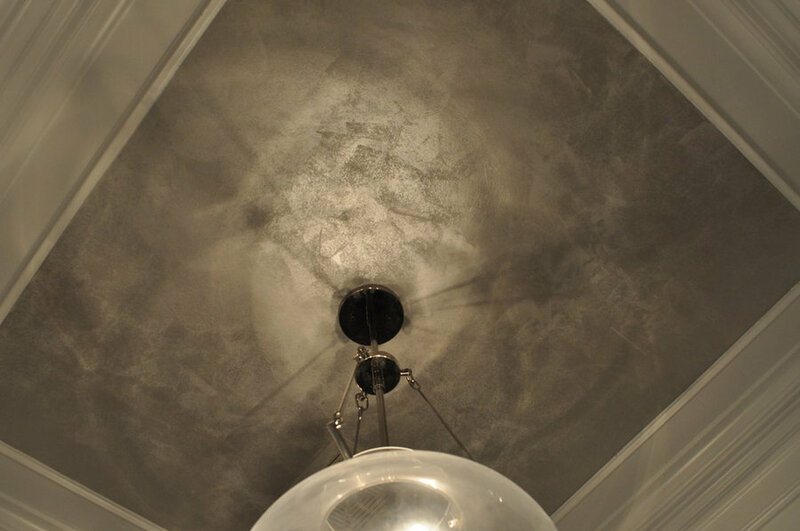 A beautiful highly textured, polished and waxed plaster. 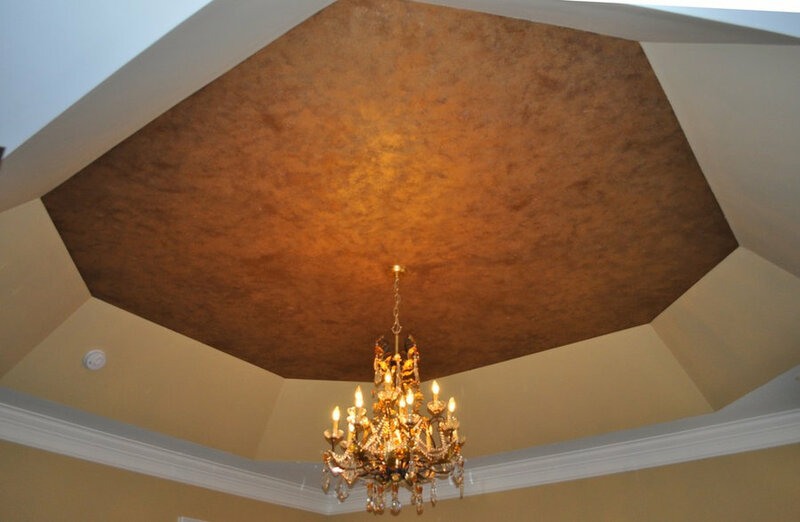 This ceiling in this master bedroom creates a soft enhancing glow. 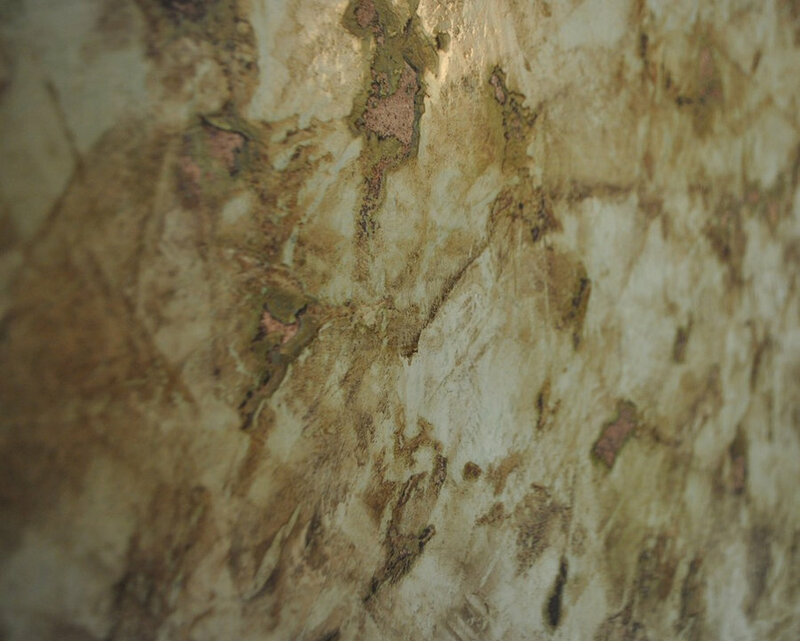 The unlimited texture created with this plaster is amazing. 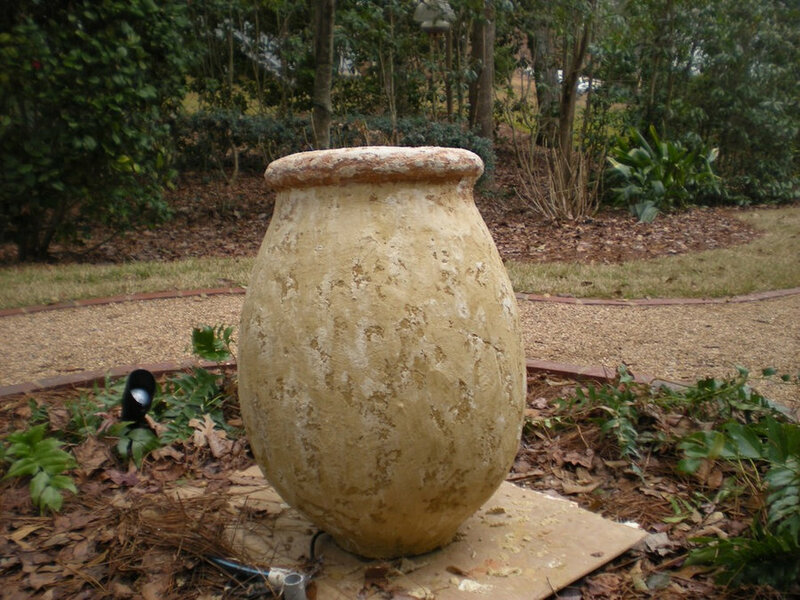 We brought this rather plain pot to life with our lime plastered fortified with Portland cement. 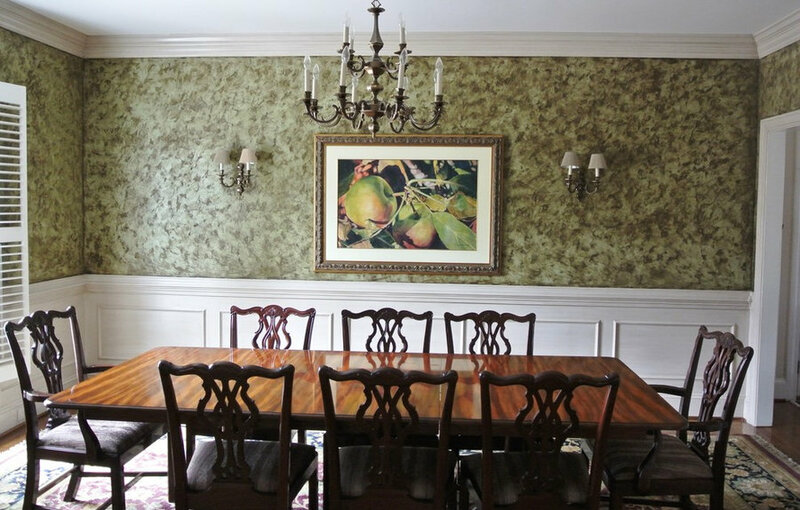 The way the light flits around this room is intriguing to say the least. 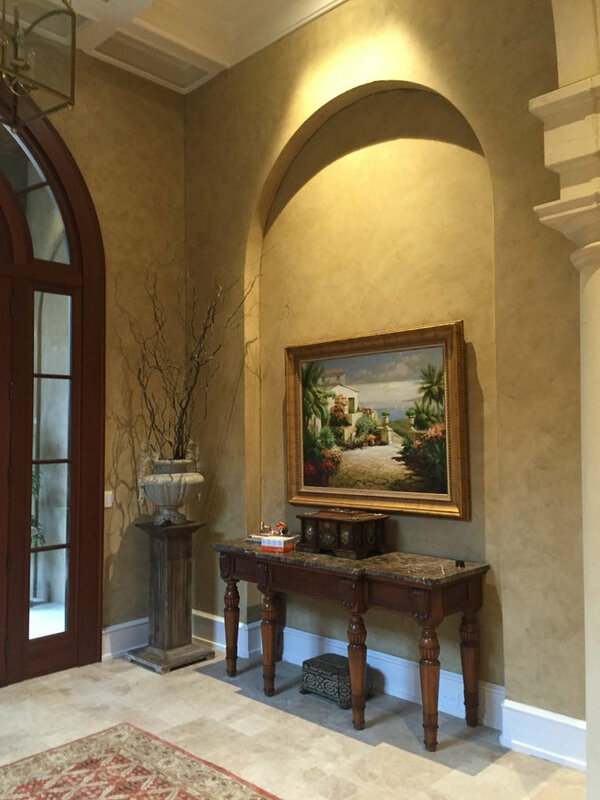 Every angle reveals a different character as the color shimmers. 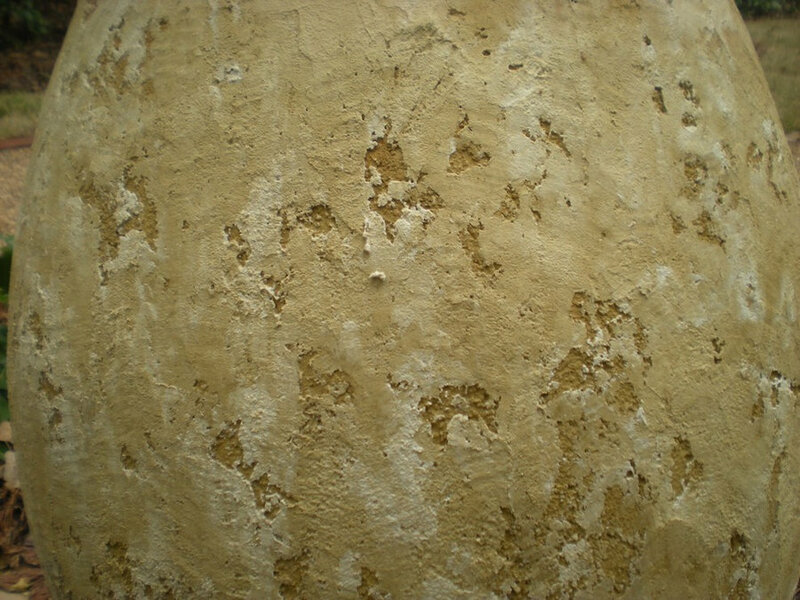 One can see the rich textures created using plasters on our Tuscan pot. 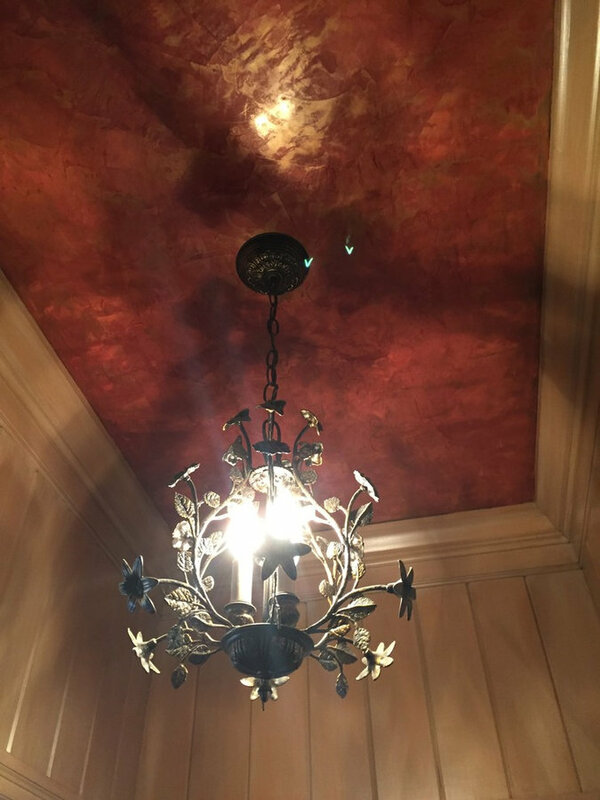 The red and gold polished plaster ceiling with gold wax creates a stunning effect with the lime stone blocked walls. 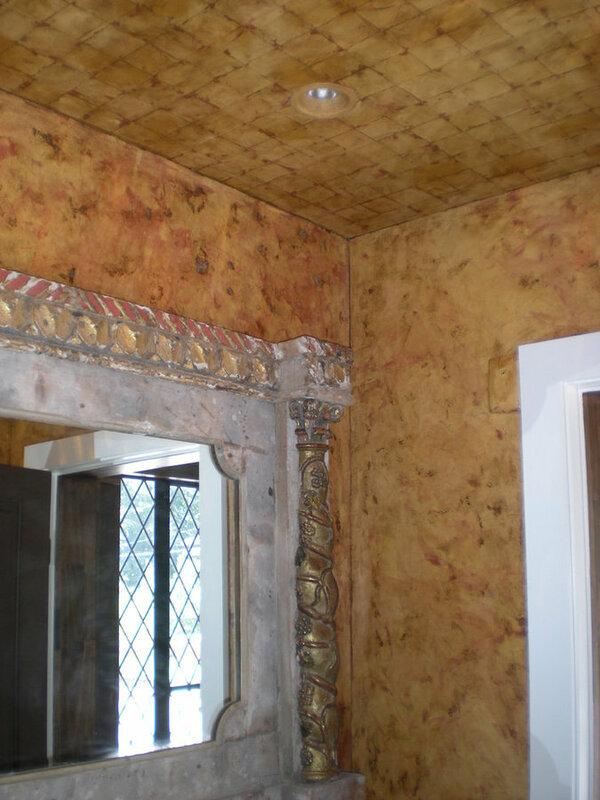 This bicolor red plaster wax with with gold creates a a very sophisticated atmosphere.